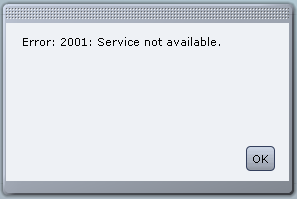 Symptom You are not able to access the CIMC page of the C210 M2 server and a “Error 2001: Service unavailable” error message is observed. 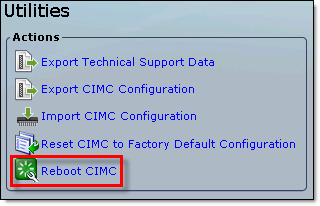 Step 1 Reset CIMC to the factory default value. The UUID should display 000000. Step 2 Change the system to ‘dedicated’ from ‘shared LOM’ so that it uses the same IP address. Step 4 Reset BIOS to boot at Extensible Firmware Interface (EFI). You can use CIMC web interface to reset CIMC to Factory Default Configuration, but, as I was still getting “Error 2001: Service unavailable” error message, I had to do it through CLI. After you reset the CIMC, you are logged off and must log in again. You may also lose connectivity and may need to reconfigure the network settings. This operation will reset the CIMC configuration to factory default. All your configuration will be lost. USB is enabled. SoL is disabled. The server I was working on had the CIMC v. 1.4(2) and therefore resetting CIMC to factory default settings did not resolve the problem. I had to upgrade CIMC to v. 1.4(3p). Again, as the web interface was not working, I had to upgrade CIMC through CLI. See separate post ‘HOW TO: Upgrade Cisco UCS CIMC via CLI‘.